UK based clarinet soloist performing Mozart's Clarinet Concerto with the Auckland Phiharmonia Orchestra. (Interview with New Zealand's Concert FM) Click Logo. Weber: Clarinet Concertos Nos. 1 & 2 & Concertino. and Michael McHale (piano) on 31 January 2011. We found a charming YouTube clip of September 13, 2009. RNO Festival at The Bolshoi, Gala Concert. Malcolm Arnold - Clarinet Concerto 2 & 3 movements, Michael Collins - Clarinet, conducted by Mikhail Pletnev. Enjoy! Фестиваль РНО в Большом, Заключительный Гала-Концерт. Малькольм Арнольд - концерт для кларнета (2 и 3 части). Майкл Коллинз - Кларнет. Дирижер - Михаил Плетнев. Michael has just signed a three year deal with Chandos Records and shall be recording a variety of repertoire including Concertos and recital CDs. Michael is delighted to announce that he is resident artist at the Wigmore Hall from May 2010 until his Birthday Gala Concert on the 27th January 2012. Michael is delighted that he is the Top Choice in the July edition of this magazine. 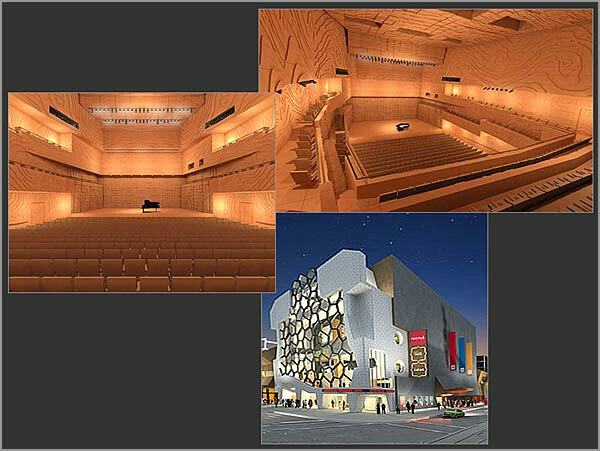 Melbourne's Recital Centre celebrates the opening of an exciting new music venue with a 14-concert week-long festival which began 8th February 2009. Michael was in Melbourne to take part in the Opening Festival and he played in the first recital titled "Song of the Yarra" on February 8th. Michael played Mozart's Clarinet Quintet K.581 with the Goldner Quartet. A second performance on February 12, took place in the new Elizabeth Murdoch Hall, and had Michael and Piers Lane (piano) coming together in the first half for two of the best-known works in the repertoire for clarinet and piano, by Brahms and Weber. For details, please visit Michael's concerts page.